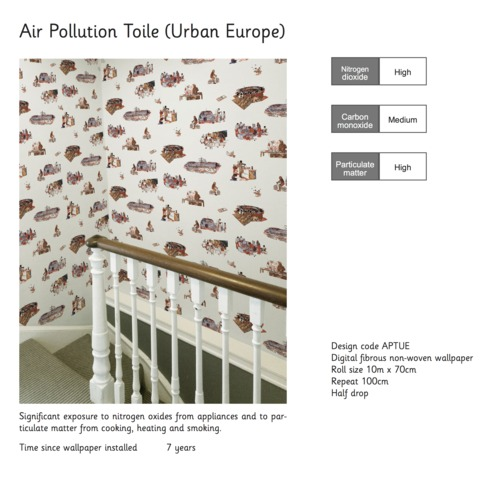 The Air Pollution Toile is a prototype wallpaper created to spark discussions about internal air pollution. 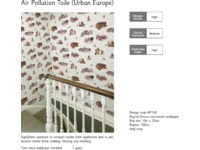 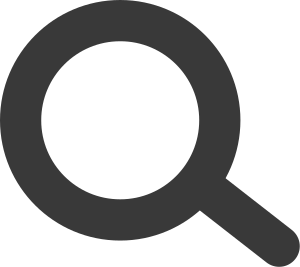 The wallpaper gradually changes over time in response to common pollutants including nitrogen oxides, particulate matter and carbon monoxide. 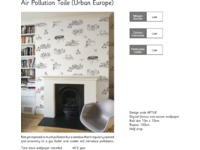 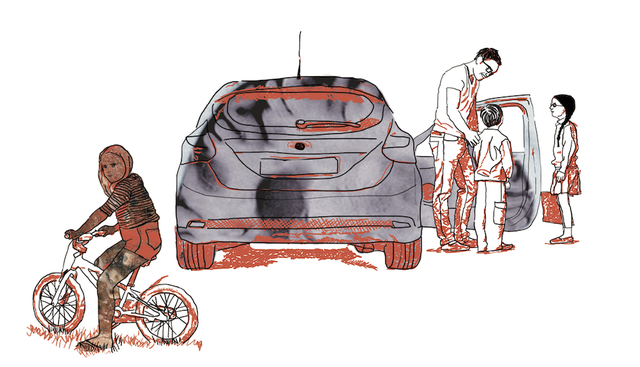 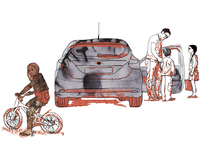 Over some years, the inks in the wallpaper reveal the hidden physiological impacts of air pollution such as lung disease, heart disease, stroke, cancer and dementia, using medical imagery, and embedding these in drawings of everyday activities through which people are involved in producing and being exposed to air pollution. 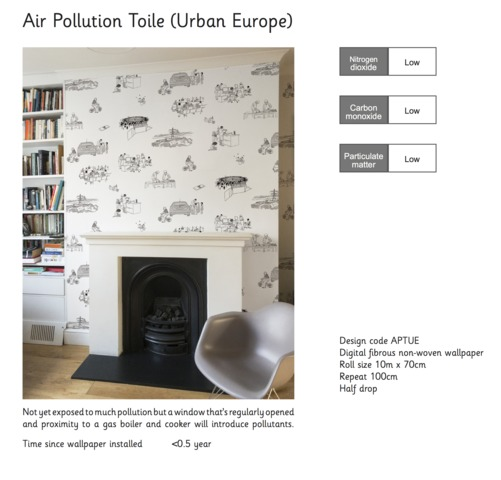 Rather than seeking to simply visualise data, the wallpaper translates across different aspects of air pollution, linking data gathering and representation, production of and exposure to pollutants, public health and everyday life and science and interior design. 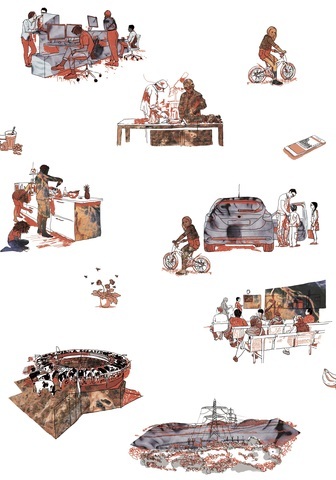 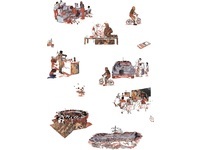 Its inventive graphical language uses traditions associated with toile de Jouy to bring into view contemporary realities and political issues in a domestic setting.